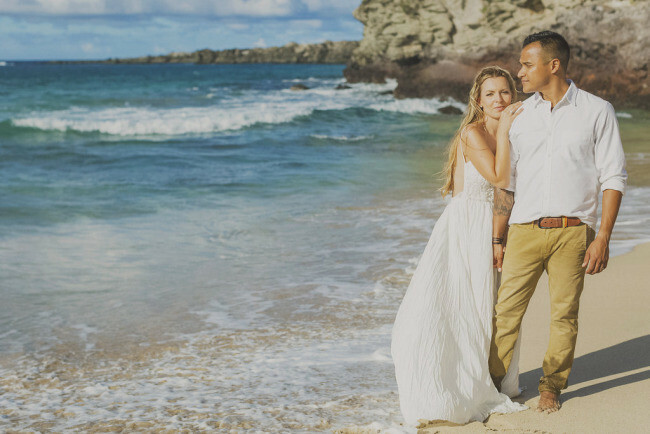 Sisa is from Slovakia and Jorge is from Mexico. 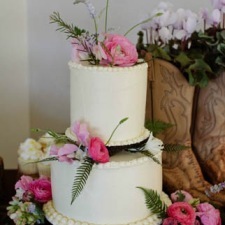 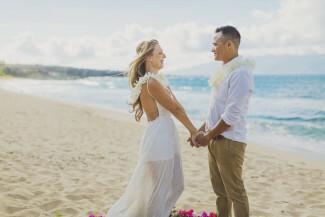 Instead of having their loved ones fly somewhere for their wedding, they decided to elope in Maui and have a relaxing honeymoon before moving to Mexico together. 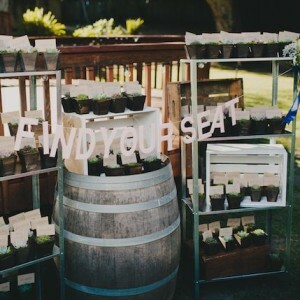 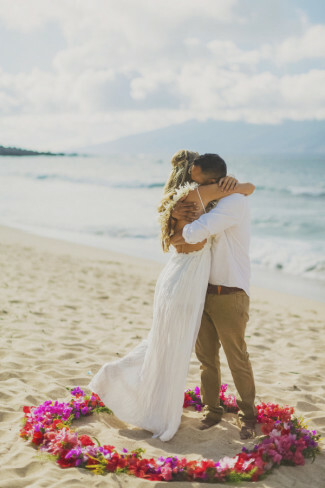 Sisa wanted something very simple, preferring to focus on the promise they were making to each other while letting the beauty of nature and her boho style shine through. 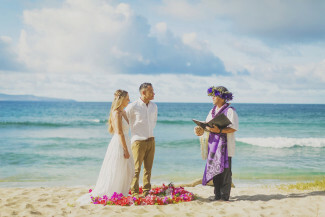 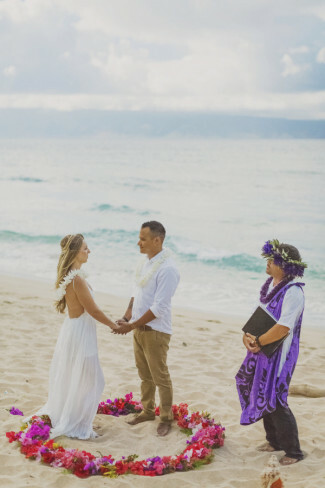 The couple incorporated Hawaiian wedding traditions into their ceremony, including the blowing of the conch shell, a lei exchange in lieu of a bouquet and boutonniere, and circle of love instead of an arch. 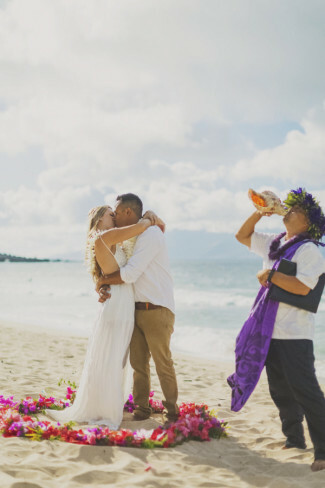 During the era of Kings in the Hawaiian Islands, the kahu (officiant) would blow the conch shell to mark the start of any significant ceremony, announce the arrival of a royal, or communicate across the sea. 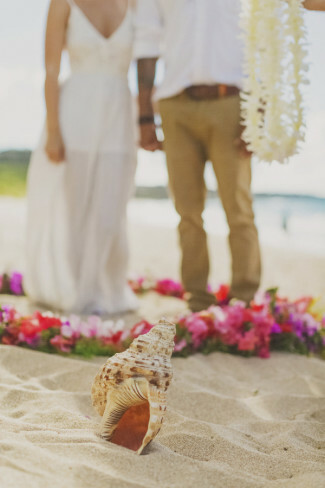 Today, the conch shell is sounded to signal the Bride’s procession and symbolize the couple’s journey to this moment. 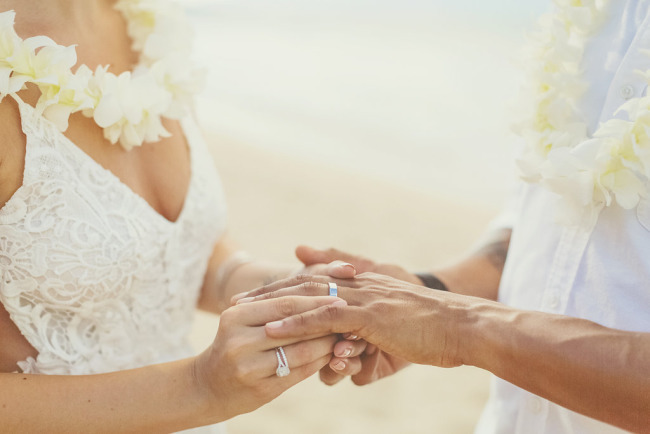 Before wedding rings were popularized, Hawaiians exchanged leis during their marriage ceremonies. 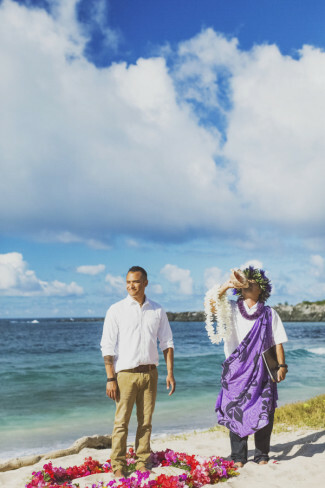 Sisa and Jorge exchanged their white orchid leis before their rings. 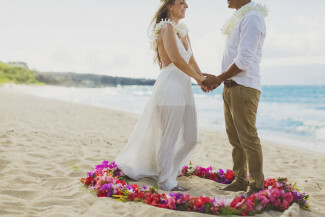 These leis show how life is more complete together. 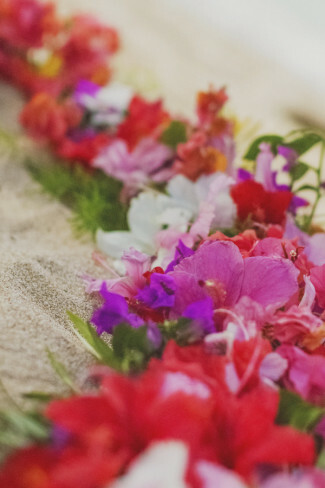 Each individual flower that is woven into the lei does not lose its essence when it forms the circle, but becomes enhanced by the other flowers. 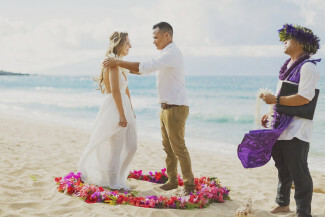 The “Circle of Love” is a beautiful Hawaiian touch, where the couple is married surrounded by a ring of flowers as another symbol of the everlasting love and commitment that binds them. 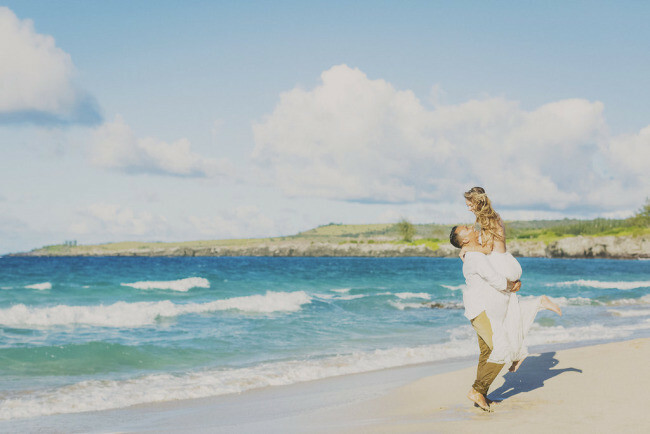 At first, Sisa was hesitant thinking this would be too cheesy, but I reassured her it would be beautiful and add just the right pop of color. 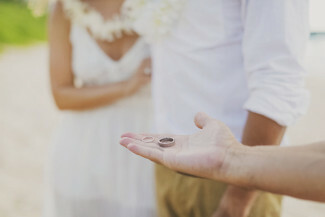 She ended up loving it! 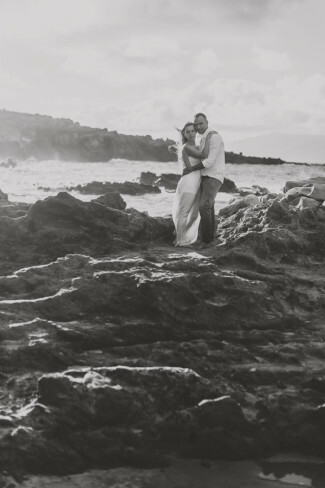 Sisa and Jorge were such a humble, laid-back, good-hearted pair. 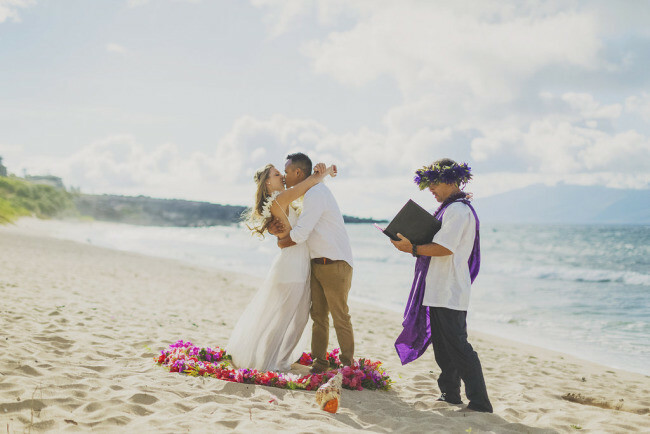 Sisa was a little concerned about Jorge not liking his photo taken, but since he is from Mexico and I’m originally from Peru, we spoke in Spanish to get him comfortable. 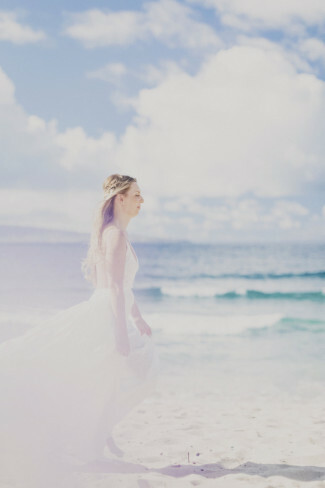 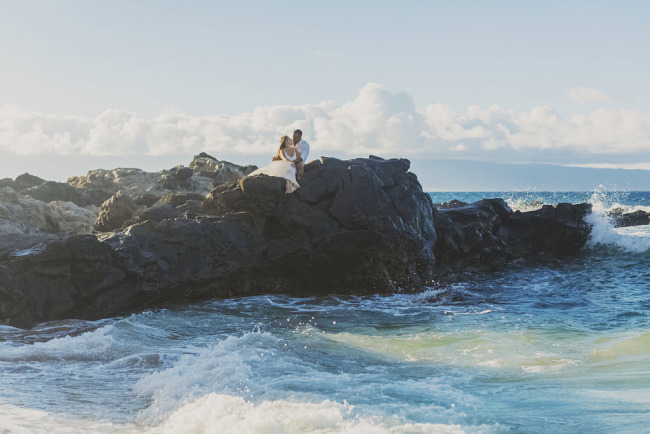 They ended up getting adventurous and even walking in the ocean a bit, so we have both the significance of a wedding ceremony and the carefree spirit of a trash the dress session! 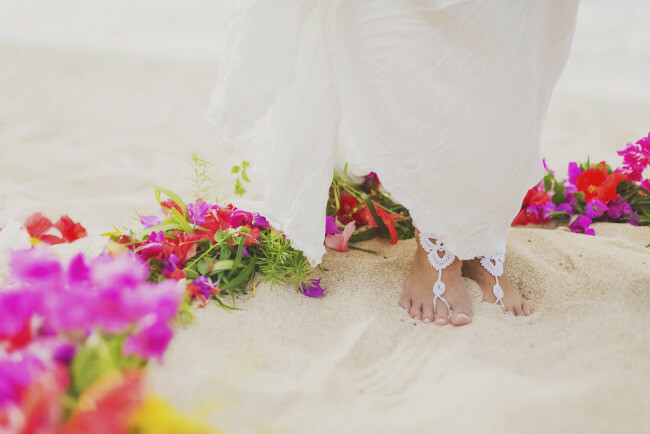 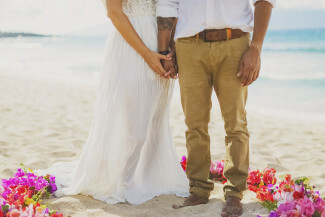 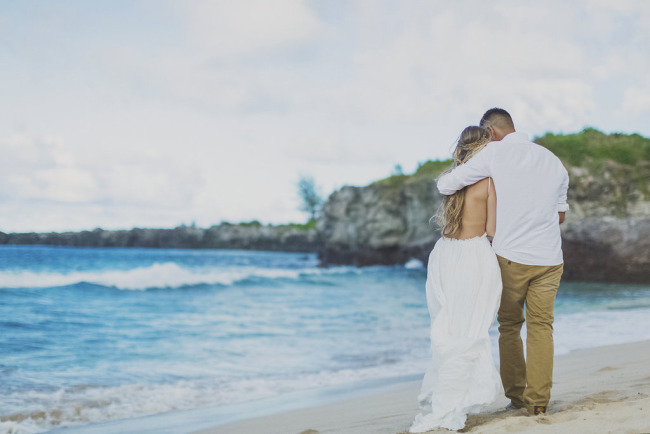 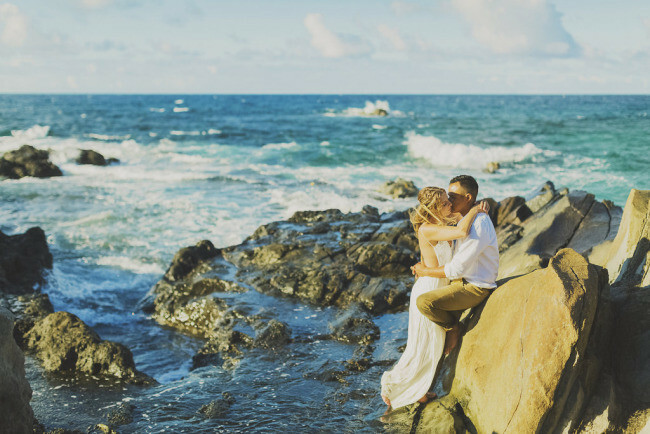 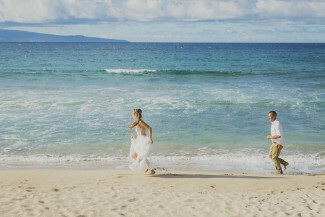 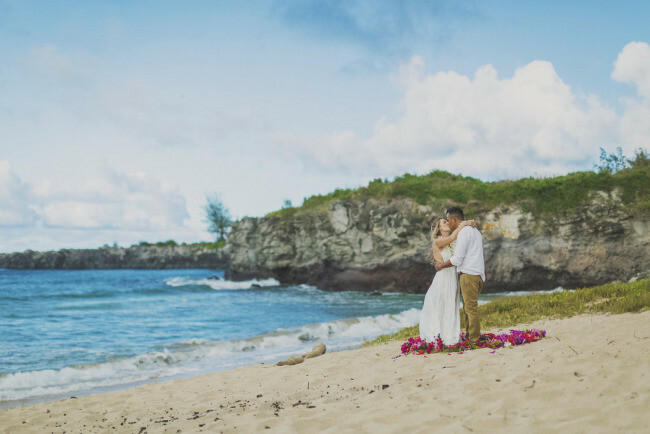 Thank you so much for featuring Sisa and Jorge’s Hawaiian elopement!